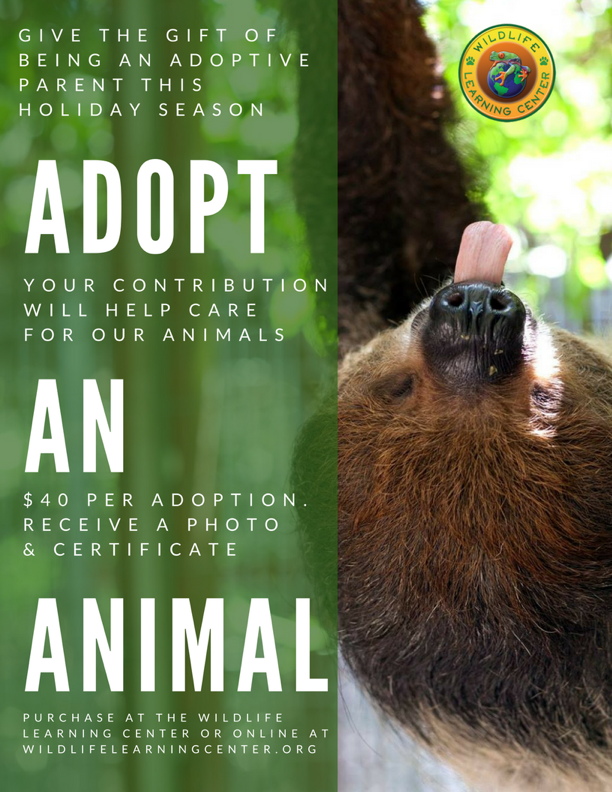 The best holiday gift for the animal lover in your life – Animal Adoption! Animals depend on people too! Be an adoptive parent or give it as a gift this holiday season! Your contribution will help us care for the animals we have at the Wildlife Learning Center. As an adoptive parent you’ll receive an authentic certificate of adoption and a 5×7 photo card with the animal’s picture and rescue story. Note: More than one person may be an adoptive parent of an animal and the adoption lasts a full year!